I was totally impressed by the ability to display such an event. As we walked around the grounds and visited the pavilions, we were allowed a glimpse into the future. We could see the World of the Future. The time would be the summer of 1965. We were still living in Florida for one more year. This would be our second annual trip to visit New York (our home). The excitement of being able to visit family was almost as exciting as being able to visit the World’s Fair. My sister had graduated from High School the year before and had moved back to New York. This visit would be all that much more joyous as we had never been separated this long before. On our way to the World’s Fair, we had to stop by her job to pick up her paycheck. This was going to be a treat from her to be able to visit the Fair. 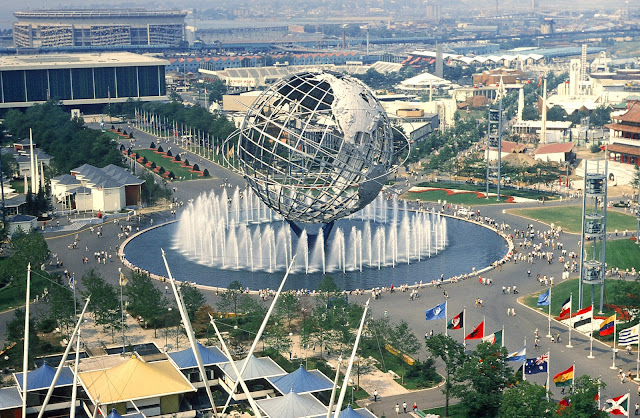 That particular trip to the New York World’s Fair would be permanently implanted in my mind as one of the greatest gifts my sister had given me. It was an entire attitude of giving that I perceived from her as an attribute to who she was. When I invited her to join my Compumatrix family, it was with this attitude I had permanently attached to my very core. I had been in Compumatrix for sometime before I invited her because the World is not as patient as is necessary. I waited for the right timing so her time of waiting would be limited. Although she did not make it to the unveiling of our World of the Future, I know in her spirit she will enjoy yet the benefits of our endeavours. In my post on the Compumatrix blog (Langrope’s Last Ride), I mentioned the importance of living for their cause as a mention to those of our family that did not complete the journey with us. We can never be prepared for death. So, is it not better to prepare for living? We will always cherish those we keep close to our heart so why not do for them what they left unfinished?